Another benefit is that winemakers can clone the enzyme to enhance malolactic fermentation, a secondary fermentation process that makes wine smooth. 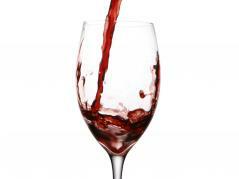 Improper malolactic fermentation generates the toxic byproducts that may cause hangover symptoms, he said. Jin stressed the genome knife’s importance as a tool that allows genetic engineers to make these extremely precise mutations. Co-authors of “Construction of a Quadruple Auxotrophic Mutant of an Industrial Polyploid Saccharomyces cerevisiae Strain by Using RNA-Guided Cas9 Nuclease” are Guochang Zhang, In Iok Kong, Heejin Kim, Jingjing Liu, and Yong-Su Jin, of the University of Illinois at Urbana-Champaign, and Jamie H.D. Cate of the University of California, Berkeley, and Lawrence Berkeley National Laboratory. The research was funded by the Energy Biosciences Institute. The Energy Biosciences Institute is a public-private collaboration in which bioscience and biological techniques are being applied to help solve the global energy challenge. The partnership, funded with $500 million for 10 years from the energy company BP, includes researchers from UC Berkeley; the University of Illinois, and the Lawrence Berkeley National Laboratory. The research was conducted in the Energy Biosciences Institute, a public–private collaboration funded by the energy company BP. The EBI includes researchers from UC Berkeley, the University of Illinois, and the Lawrence Berkeley National Laboratory. Details about the EBI can be found on the website: www.energybiosciencesinstitute.org .